A 10-part crime drama following the story of Andrew Fraser's rise from small time lawyer to successfully defending the most infamous criminals this country has ever seen, and then his ultimate downfall and imprisonment for five years in maximum security. His clients included Dennis Allen, Jimmy Krakouer, Alan Bond and those accused of the Walsh Street murders. At the top of his game, Fraser commanded a huge salary and lived the dream. But when his cocaine addiction spiralled into a thousand dollar-a-day habit, he lost everything and his life became intertwiined with villains, larrikins and soldiers of justice. He was disbarred, discredited, broken financially and his marriage was destroyed. 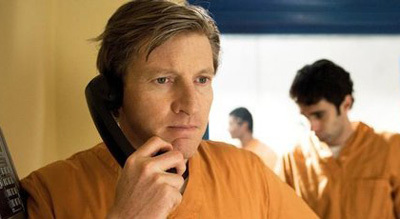 Caged amongst serial killers and psychopaths, Fraser is forced to reflect on where it all went so wrong, and try to salvage his shattered reputation.